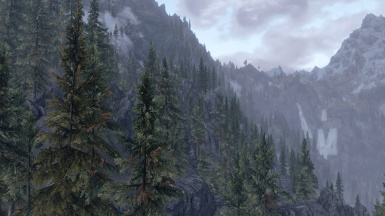 This makes all trees in Skyrim around 1.5x larger, by replacing the vanilla meshes with larger ones. NO extra polygons, NO cell edits, NO ESP/ESM files, and NO scripts, to retain simplicity, and maximum compatibility with other mods! Re-made from scratch, more precise method and bone editing to resolve all previous issues. 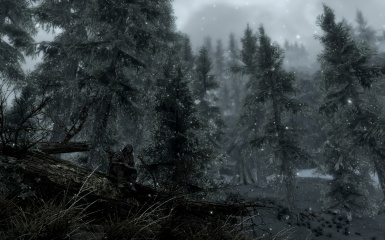 SKYRIM SPECIAL EDITION VERSION IS AVAILABLE NOW! THIS ONE WILL NOT WORK PROPERLY IN SKYRIM SE, SO GO HERE AND GET IT! PLEASE SEE STICKY POST IN COMMENTS FOR NEWS / UPDATES! 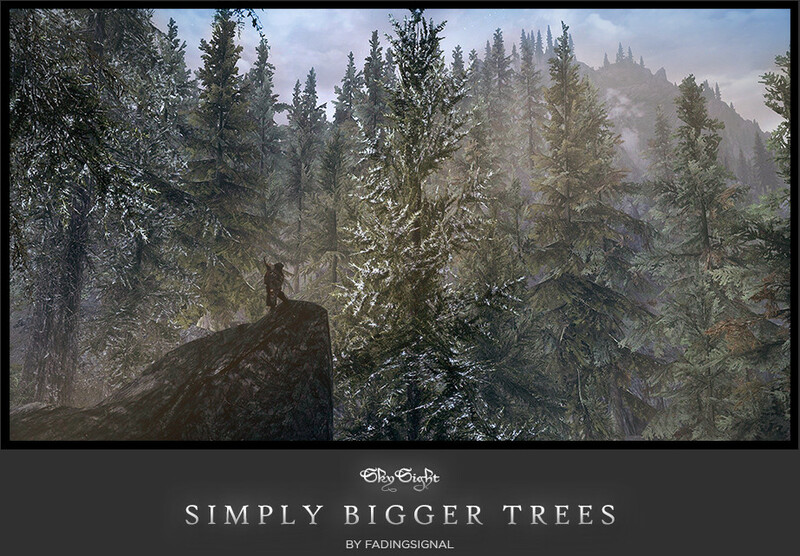 but if not, grab this Tree LOD for Simply Bigger Trees by Zilav! 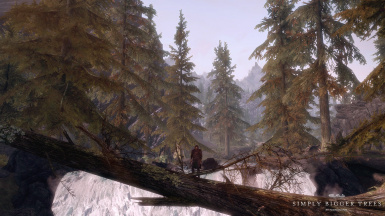 I wanted to make trees in Skyrim bigger in the simplest, most compatible way possible. 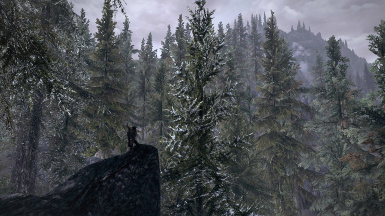 This mod makes all of the trees in Skyrim around 1.5x-2.0x larger, by scaling up all of the vanilla tree meshes. This is accomplished with absolutely zero cell edits, and no ESPs/ESMs, for maximum compatibility with other mods. It should be 100% compatible with all tree texture mods (that don't change the mesh), new lands, houses, etc! 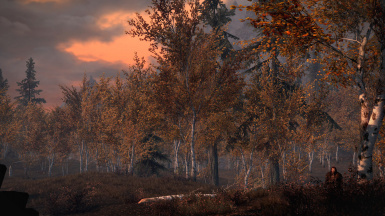 There is a lot of diversity in the vanilla game tree size, which was hand-placed by the level designers, and this does not change that in any way. Relative sizes remain, they are just all 1.5x - 2.0x bigger. 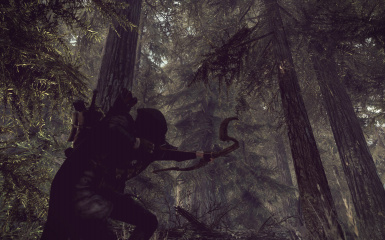 Some areas get pretty dense as a result, so be prepared to be enveloped by the forest and have wildlife sneak up on you before you can see them! Hunting in the Rift in the fog at dawn is now a legitimately scary and dangerous activity. Camping is BLISS. 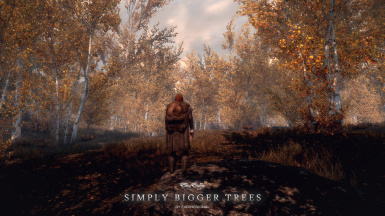 Please be aware, any mod that uses vanilla tree assets will have larger trees as well. This is a side-effect of replacing the mesh, but is a pleasant one in every case I've tested for so far! No reports from users of clipping or blocking yet. You can easily click on a tree in the console and type setscale 0.5 (or whatever size you wish) to shrink trees that are too big or are clipping. And thanks to matthiaswagg for his article/review, here! This does not contain long-distance LOD yet. If you use a higher uGrids setting you probably won't notice (I use 7 and never see it.) That is a big undertaking that I am still learning how to do, but it's next up on the list now that the main issues are resolved! Cosmetic-ish things like a single, non-blocking branch sticking too far out over a particular road, I can't really fix, since the purpose of this mod is to avoid editing ANY cells or doing any CK work, so it can remain lightweight and 100% compatible with all mods. Pop open your console, click the tree, and hit "setscale" to do some landscaping if a single tree is bugging you too much! Depending on your system, ENB, Shadows/AO/AA/etc. 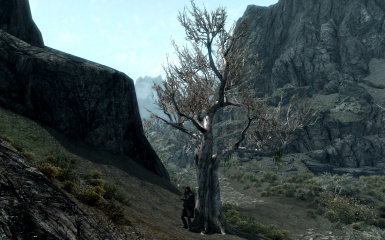 making trees larger in Skyrim can have a slight performance hit. Having more shadows / ambient occlusion / anti-aliasing to draw just has that effect and it's not the fault of the mod! Simply download the packages and use your favorite mod organizer, or manually extract RARs to the /data/ folder. It is just a mesh replacer so there are no scary files / scripts / etc. to worry about, but make a new save anyway, because it's just the smart thing to do! If you're using one of the patches (TBD), activate that last, and let it overwrite the main files. This should be compatible with all houses, new lands, locations, etc. just watch for clipping. 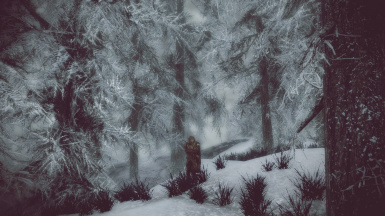 It is also compatible with all texture mods that use the vanilla meshes. 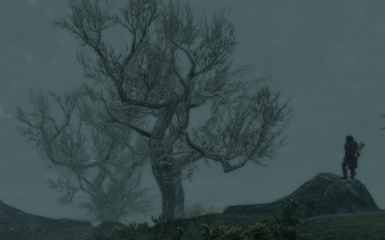 This is NOT compatible with other mods that modify/replace the vanilla tree meshes, however I am working on patches for relevant mods that don't directly conflict.